Recently I visited a community whose superior from time to time phones the provincial saying, “I just want to say hello. No problems here, things are going normally.” This local superior told me that he does this because he is a provincial council member and wants to encourage his provincial instead of burdening him with still more difficulties. He is also a local superior who really takes charge of his community, which numbers about ten men, plus frequent guests. Of course, they do have some problems – but according to the superior, by knowing each other so well so that they cannot hide anymore, they accept each other’s journey. They have made the choice of a rich life in common with frequent social events, daily prayer together and regular formal meetings to share about their multiple apostolic works. To me this is a good specimen of an apostolic community. To give a definition of our subject, the apostolic community, I cannot find a better way than quoting article 37 of our CC and RR. What C. 37 does is to connect community and mission, and trace this connection back to our Founder’s last will. C. 37 says: We fulfill our mission in and through the community to which we belong. Our communities therefore, are apostolic in character. The Founder left us a legacy: “Among yourselves practice charity, charity, charity – and outside, zeal for the salvation of souls”. In fidelity to that testament, each member’s zeal is sustained by the bonds of fraternal charity. By growing in unity of heart and mind, we bear witness before the world that Jesus lives in our midst and unites us in order to send us out to proclaim God’s reign. Apostolic community binds us in charity not only to sustain our missionary zeal but also to bear witness to Jesus. As Oblates we live community for the sake of the mission. Like the apostles, we too gather in communion around Jesus, source of our immense hope; we also understand communion as integral to the goal of mission of bringing this hope to the world. Basically I am using the classic see – judge – act scheme. 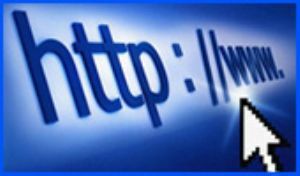 Often, websites have a section “who we are.” People want to know who is behind your activity; they ask you to identify yourself. That is why, in business, branding is so important; it makes your name sound familiar and so engenders trust in customers. I believe that for a group like ours, a clear identity will also be crucial; this is especially necessary in a secularized society where so many options are available in the religious market. But in all contexts, it is important that we must be clear about our identity and mission. Our specific Missionary Oblate identity is essentially linked to community. If we were to lose community, we would no longer be Oblates. What makes us different, makes us Oblates is not just that we have individually heard a call but that we have been “drawn together” (C. 1). Therefore I find apostolic community quite an important issue to discuss; it is a non-negotiable element on which our future as Oblates depends. Do we still show that we have been “drawn together” like this? Do people notice it? The good news is that we are becoming aware of this situation and certain things have begun to improve. Let me describe our present situation, going back no further than to the 2004 Chapter. This is probably one of the last opportunities to look back to the last Chapter before the preparation to the next one takes over. We recognize again that we are not diocesan priests and not only priests; that our identity is expressed in apostolic community of priests and Brothers (C.1). In years past less Oblates would have agreed on that than today. The conviction is growing that, without effective community life that gives constant support to our personal lives and to our mission, our future would be bleak. 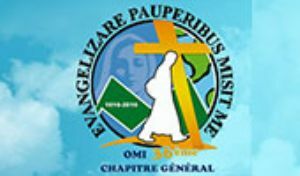 In the Report of the Regions and their Units, mention is made of “the fragility of community life and the necessity of more team work in the missionary field.” The answers to the Chapter questionnaire, speaking of the Oblates in their first years of ministry, value the “fraternal support of the community (material and spiritual)” as a positive experience, while some also say that they have gone through feelings of “helplessness in difficult situations due to the absence of an experienced companion willing to act as guide and who has the competence for it.” During my visits, I have often heard similar comments. It is a good sign that this fragility is at least widely recognized as something that needs to be addressed. In several sectors of the Congregation, while there is a move back to common living, the structural changes that would favor it take a long time. While most of the Oblates benefit from common living, there are also a number of exceptions. A study in 2004 showed that 837 Oblates lived alone, amounting to 22% of those who had finished first formation. In seven Provinces, this figure was higher than 30% - meaning that out of 100 Oblates 30, sometimes 40, were staying on their own in rectories and apartments. On the other hand, there were also some larger Units where the figure was zero: there, everybody lived under one roof with other Oblates. I was impressed by the determination of several young Units to use the richness in vocations first of all to create a solid community life as basis for their mission. “Oblate community and religious life” has become one of the six main points of the 2004 Chapter document “Witnessing to Hope” and is therefore recognized as priority. The Chapter, interpreting our charism, insists on communitarian mission (preaching bands, pilot communities), the quality of community life, the formation of each Oblate for community and the formation of the local superiors, and on the involvement of laity who can enrich our community life. In several areas, the Spirit has moved the Oblates to answer the Chapter call. An important means of addressing the community issue is the continuation of the Immense Hope project, “a process through which every unit within the Congregation was asked to evaluate and scrutinize its community life and its ministry” (WtH, p.8). The Chapter asked us “to continue” this Project, something that is now underway in the whole congregation. Here, the important questions about our charism are asked and changes are being planned, including the change to community-friendly structures. Also the request for pilot communities is awakening new energy; the movement is in progress. For the existing communities, sessions for local superiors have been held. 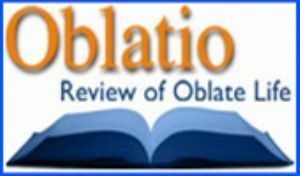 The Lay Associates, too, have reflected on their link with the Oblate charism at the constituting session of the Congregation-wide committee in June 2007 (where they proposed as their new name “Oblate Partners in Mission”). 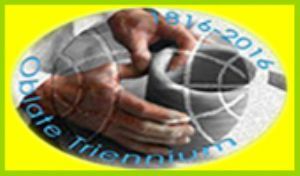 The most recent picture of the developments can be found in the 2007 Inter-Chapter reports by the five Regions of the Congregation. They have been summarized for the occasion, and in section Nr 2, “Oblate community and religious life” we find the following. 2.1 Africa-Madagascar: There are efforts not to let any of the members live alone. 2.2 Latin America: The Units of the Region try to create real communities. Sometimes there is a lack of tact and personal consideration in bringing up problems among young Oblates. In some places, the Oblates try to organize vacations together. They do not want to open new missions in places farther away so that they could keep a rhythm of community meetings. There are district meetings. 2.3 Canada-US: The Units of the Region acknowledge the importance of apostolic community, both for the apostolate and for the apostles - especially in the planning of assignments for the newly ordained. Some work has been done to develop a common terminology, and the requirements to establish the structures needed for people who wish to associate with the Oblate charism. As a result of the “round-tables for consultation”, community life in some places has improved a lot. The regrouping of the community meetings by sectors has been helpful. There are several meetings during the year. 2.4 Asia-Oceania: All the Oblate Units recognize the need for a revitalized community and religious life as critical to renewed mission and evangelization. The international character of many of our communities poses a real challenge. There is a felt need that inter-cultural dialogue often needs to happen first among Oblates living in community. Some units have experienced success in the regularity of prayers, meetings, and monthly recollections. The development of community relationships has appeared in many of the strategies of the Oblate units in the region. Here, the quality of on-going formation programs is seen also as crucial to effective mission. Some of the important goals of community animation are to make each one feel a sense of belonging, to make each one contribute his gifts to enrich the mission of the unit, and to enable groups to work as teams. 2.5 Europe: In all the European Units, it seemed to be important to identify the core values for religious life in the light of today’s reality. The different Units have indicated the following challenges which are valid for community life in each Unit: Human maturity, Availability, Compassion, Dignity, Forgiveness and Collaboration. There is a challenge to provide a qualified superior for the local communities. In all the old Western European Provinces, the care for old and sick Oblates is becoming more and more a priority. In the younger growing Units there is a need to reinforce community life by ensuring the presence of at least three members in each community. The presence of the Brothers is more and more meaningful, more and more prophetic. How can we understand better the present situation of community with its lights and shadows? Let us acknowledge that the term community does not always mean the same thing. It can be applied to different concrete realities like houses, residences and districts and it includes different elements like “life in common”, being “interdependent” or a “program of life and prayer (C. 38)”. However, all forms of community can and should be evaluated. Let us have a look at our recent past and on the present cultural context, and then try to interpret it in the light of our charism and our faith. If we look back a few years in history, we can affirm that community life has been suffering a crisis which we are still struggling to overcome. It is a crisis that has affected religious life in many of its expressions, especially in apostolic orders. After the sixties we were getting rid of certain traditions in community life we felt were out-dated and in most cases with reason: the head table for the superior, the “culpa”, the need of asking for permission for everything, the separation of priests, Brothers and students, and many more. One might still ask: what is the good that those practices were intended to foster? On the positive side, in 1966 the Oblate Rule for the first time included an explicit section on community which stressed interpersonal relationships. Often men are fully occupied with their own work and are afraid to lose time and energy in getting to know and respond to community challenges. Some are afraid of returning to the past or of losing their independence. Others are persistently ignorant of the meaning of community life. ... There is neither programming nor decision making to promote this renewal. ... There are those who believe that it is sufficient to live under the same roof to establish a community (page 4). Efforts have been made to overcome the crisis and to return to quality community life, giving it a new face corresponding to the present culture. A few of our smaller Units managed to build up a new style of common life. At the Inter-Capitular of 1990 a renewed interest could be felt, particularly among the younger Oblates, as Fr. Zago also recognized in his 1995 report. The General Chapter of 1992 (“Witnessing as apostolic community”) stressed that we must live intensively in community. The European novice masters said in the year 1994: “The future of our religious life depends on whether we are able to live in apostolic community”. In a 1992 address of Pope John Paul II to the Congregation for Religious we have a similar statement: “The effectiveness of religious life depends on the quality of fraternal life in common.” In 1994, there appeared the document of the Congregation for Religious, Fraternal Life in Community, which is still worthwhile reading. Summarizing the development, we can speak today of a trend, of a return to community life . Yet we have not found the right formula and so are struggling. There is still a reluctance or at least a certain shyness to intensify common living. We feel we should respect the other, his privacy, his individuality. There exists a certain embarrassment when we present the demands of living together, not wanting to impose on others common prayer, or recreation or meetings. Why is this so, and how do we move forward? If we want to make further progress in the return to community life, as a first step, we will need to understand more deeply the present cultural context. B. The cultural context of today – what are the signs of the times? The present Western culture has often been described as individualistic. This trait has an effect on us as religious and it may also account for the modern difficulties in married life. Individualism does not mean that we are doing without relationships – which also would be impossible – but it means that relationships are something less and less established, be it with neighbors, the extended family or the religious congregation for that matter. We are today free, to a great extent, to create our own network of relationships. We also belong to multiple groups. As a result, it is not always a given that the religious community is the primary and most important group we are related to; at least this is often not evident to the other members of the community. From the findings of two sessions (fall 2005 and spring 2006) of the Union of Superiors General on Fidelity and Abandonment, I retain that multiple belonging, or more precisely inadequate priorities in the case of multiple belonging, often explains the vocational crisis of a religious. This is an issue that needs also to be taken into account in initial formation. On the other hand, young people today, more so than those of earlier generations, feel the need for community. Even new forms of religious life are created which respond to this desire. Within the Congregation, it is heartening to see that in Oblate youth ministry, the community dimension is rather important. How can we adequately interpret all these signs of the times? Individualism and multiple networks of relationships coexist with a longing for deeper communion, and therefore we still have difficulties to create realms in which to live such communion. In order to find some orientation and to gain new momentum, we must go back to our founding charism; also theological reflection is necessary. In Aix, St. Eugene constituted the Missionaries of Provence as an apostolic community even before he led his initial group to religious life. It is only subsequently that the group chose religious life too. A rule was written when the second house had to be founded. The founder felt inspired by the community of the twelve with Jesus (C. 3) and the community in Acts 1, of the apostles after the resurrection (CC. 21 and 37). Our Founder did not look for people with very high qualifications, like his friend Forbin Janson, but rather for men who were giving themselves totally to the mission and who were ready to make the new community their family. This common life had a personal touch, a family spirit which has persisted until today. 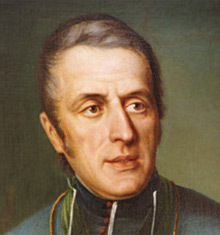 De Mazenod added to the model text for his first rule the expression: “United by the bonds of familiarity and love”. (2) by his policy regarding dismissals from the Congregation: around 1840 the Congregation had about 50 members; another 23 had been dismissed by the Founder and for approximately 15 of them, the reason was lacking suitability for community life. Some of them remained good friends of de Mazenod. (3) By his spiritual will (“charity, charity, charity, and zeal”). As bishop of Marseille, Saint Eugene even introduced common living among his diocesan priests and saw this as the key-stone of his episcopal ministry at the end of his life. Time and again, we need to go back to St. Eugene’s founding vision. The existence and development of the International de Mazenod Center in Aix can be understood as a sign that our charism is important to us. 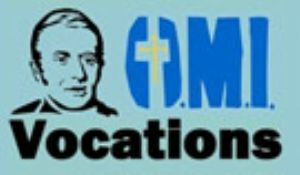 It has undoubtedly been a priority for the Congregation, through the De Mazenod Experience and several other programs for Oblates in first formation, for lay associates, etc. For the next three years, the January to March session will focus especially on apostolic community living. Aix is a place of special grace for our us and has the potential to inspire the whole Congregation. Our Founder’s Rule and the successive editions did not have a chapter on community. This was introduced only in 1966 and enriched in 1980. Looking at the outline of our present CC and RR, we can see that “mission” and “apostolic religious life” come under one heading, namely “the Oblate charism”; this points out our unity of life. In the present Rule, the spirit of community permeates the whole deion of our Oblate family - its mission, formation efforts and its organization. This starts with C. 11: “we fulfill [our] mission in community” and “our communities are a sign” to the world. C. 3 adds that “The community of the Apostles with Jesus is the model of our life;” we have been called together “in charity and obedience.” Then, the section on “The Apostolic Community” comprises eight pages! It begins with C. 37, which we quoted in the introduction. Formation, too, mentions the subject since it is “a community process” (before C46). The theme appears again in the last part which deals with organization; we are “united as brothers in one apostolic community” (C. 72) and all should “participate as much as possible in decision-making and … collaborate in carrying out decisions taken” (C. 74). Shortly after, there follow another six pages under the heading “local community,” starting with C. 91: “Local communities are the living cells of the Congregation.” Therefore we can rightly say that guidance from our Constitutions and Rules is offered abundantly. However, it will be a question of inner attitude to allow the Oblate community to substantially shape our individual lives and the way we do our mission. The theme of community was the main theme at the 1992 Chapter (“Witnessing as Apostolic Community”). Part of the document is written in an almost poetic language. “We can be effective evangelizers only to the extent that our compassion is collective, that we give ourselves to the world not as a coalition of free lance ministers, but as a united missionary corps” (WAC 7). The apostolic community “is flesh for the life of the world. The community we create together around Jesus Christ is the banquet table to which we invite mankind (WAC 8). “Evangelization is not the work of lone rangers, but is a community effort” (in EPM 12). - foretaste of heaven, God’s life (30). Is there a deeper reason for the fact that community is given so much importance? Is it only more efficient to work in a team or more practical to have common cash, or do we just make a concession to the younger Oblates if we particularly stress our community character today? Perhaps communio is, in a special way, related to Christianity? When happily living together with others, humans express the image of God in a fuller sense than as individual persons. Our religious communities exist in the Church so that they can give a fuller witness of God, much better than each on his own can do. We Oblates are “witnesses” of the Trinity not so much as individuals but “as apostolic communities”. The 1992 Chapter document goes in the same direction: “As we become ‘one heart and one soul’ (Acts 4:32), our communities will become more and more apostolic; by the quality of the witness they give, they will ‘bear fruit that lasts’ (John 15:16)”, (WAC 13). If we live according to such standards, “Our community life offers grounds for hope to this world which is struggling to overcome its disintegration and fragmentation” (WAC 8). Against this background, the international pilot communities proposed by the 2004 Chapter appear as a concrete mission model that is very timely. They witness to communion, and they also have the potential to show new ways of living church, like the Basic Ecclesial Communities or the domestic churches, which enormously enrich the local churches. Given that as Oblates we still struggle with the community dimension of our lives, such pilot communities will not be easy to establish but we can have confidence that one day the breakthrough will be made. After these theological reflections, let us now consider that community must have not only a soul but also a body: interpersonal relationships need to function well and also a certain level of organization has to be in place. Let us look at these relationships according to different levels and then discuss how they express themselves in various types of community. The emphasis in the Founder’s spiritual testament is on community – “charity”, which is repeated three times, and only then on the mission ad extra, - the “zeal for the salvation of souls”. The same emphasis can be found in his correspondence with the Oblates; experts have noted that he gives about three times more space to community affairs than to pastoral questions. How do we embody community life today? How do we make it fully human, Christian and correspond to the values of religious life? The General Chapter of 1966 was right when it highlighted the human dimension of common living. Let me mention three things which need to be integrated and balanced out: caring for each other, accepting limitations and a certain structure. Firstly, caring for each other: this can be done on an individual basis but should also be assumed by the community as such. Sometimes the small local group of Oblates can be enriched by coming together on a broader basis, in the district community, with lay associates or special invitees. A second thing to be aware of, is that community will not fulfill all our needs for intimacy and will never be ideal. We have not chosen each other; we are not married to each other and therefore cannot make up for a natural family or model the life of a couple. While some friendships will humanize our life, a certain loneliness related to our vow of celibacy will remain. In addition, in our fraternities, we will always suffer problems and dysfunctions as in any family. Thirdly there is a need for a certain form, rules and structure. Any human group needs a leader to function and a community without such a person would just be directionless. We also need boundaries telling us who is invited to our home and when; we must establish how often we are supposed to be present; we have to work out agendas and time tables. This does not mean that we return to a “monastic” style of the old days or live like in a large seminary. Some may be afraid to revive traumas of authoritarianism they have suffered. Agreeing to a certain structure does mean that we try to become truly “members” of the community. The human challenges of living together become even greater with the growing cultural diversity and internationality of our communities. When we will no longer be able to find common ground in the stories we could tell about the old times at the novitiate, etc., we can only find common ground with the help of our charism and our Constitutions and Rules. We will need to make these references more and more explicit in our local communities, to bind us together as a congregation. The center of the first community of apostles was Christ and he must be the center of any true apostolic community even today. 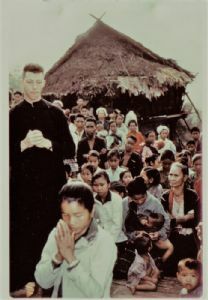 St. Eugene urges the Oblates to “gather closely around this good Saviour who has made his home amongst you.” At a moment of separation from the Oblates, he lets them know that he remembers them during the Mass and adds: “We should often come together like this in Jesus Christ, our common centre where all our hearts become as one and our affections are brought to fulfillment.” This relationship must be made explicit frequently, through prayer, Bible sharing, the Eucharist, etc. How can we release the power of the word of God and of liturgy to build our apostolic communities? We all know the importance St. Eugene gave to oraison which is a means to connect to the Risen Christ and to broaden our community life beyond the local walls. During oraison, the Oblates are united with Christ and each other, despite the distance which separates them: “This is the only way of reducing distances, to be at the same moment in our Lord’s presence; it is so to speak like being side by side. We do not see each other, but we sense each other’s presence, hear each other, and lose ourselves in one and the same central point.” Even today it remains an important means to christianize our communities. Common liturgy and oraison are therefore mandated by our Rule (C. 33). Our Constitutions and Rules recognize different types of community. “Each Province is in its own way a true apostolic community” we read in C. 96. But the term is more directly applied to the local community: “the Congregation’s vitality and effectiveness depend largely on the local community” (C. 76). On this level the two main forms are house communities and district communities (C. 77). The latter can be composed of small residential Units or Oblates living alone (R. 77a). (Let us remember that “the situation of Oblates living alone is to be considered as temporary” [R. 92d]). Other types of community mentioned are those dedicated to formation. Besides the typology drawn up by our CC and RR, some larger provinces have formed intermediary animation structures between the local and the province level, usually called areas or sectors. While all these forms of common living have good reasons behind them we need to discuss today which type of apostolic community will be more suitable to our needs and serve our mission. - Experience seems to tell us that house communities ought not to be too small; should we strive to have at least four or five members living together? - District communities are not meant to take the place of household communities; they are meant to enrich community life when the houses or residences are rather small and some Oblates live alone. If we are to respect our charism, we must avoid at all cost that younger Oblates start off with and get used to living alone. - Animation structures such as areas or sectors, as well as district communities, are very useful. Even middle-sized house communities should be included in a larger structure, be it called district, sector or area, to allow for a richer interaction several times a year. For many theological and missionary reasons, it is important to care for the quality of our community living, as explained above. A further special reason is that the community can attract vocations and is the place to which we can invite people who feel a call to “come and see”. This may apply to all kinds of vocations to Priesthood or Brotherhood, to our Lay Associations or to other forms of Christian life. In this sense, any one of our houses should be a space ready to welcome vocations. While respecting private areas they should be open houses; hospitality is one of the signs the secularized world is sensitive to. I dare to say that there will be no Oblate vocations without apostolic communities to welcome them. From all this it may have become clear that we do not take away from the mission the energy which we spend on our community. On the contrary, the quality of Oblate mission will depend on the soundness of its community life. Is there a call for action in all we have heard about Oblate Apostolic Community in the beginnings, in the present and in the future? When it comes to action, we can distinguish between “political” measures, which in a medium-term will favor the vitality of apostolic community and others which we could personally take on right now. There are many ways leading to community renewal. For a province, I could imagine the following strategy. The first thing would be to become convinced of the value of community life as something essential for our Congregation. 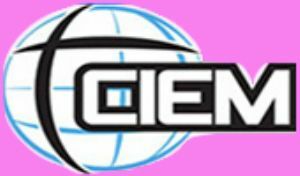 The more we become knowledgeable and conscious of our heritage as sons of de Mazenod, the stronger will be our conviction. A community spirit takes time to develop and this happens mostly through the pastoral care given to each member by his local superior. “He is the pastor of his brothers. He brings the community together ... The quality of local Superiors is a determining factor for the Congregation’s life.” (WAC 23,6) The local leaders deserve all the support and help they need and their animation should be a priority for the major superior. Sometimes a province may have a structure and types of missionary commitment that do not foster community living, for instance because of distances or one-person positions. This may be due to historical missionary reasons or simply because Oblates, by their very zeal, tend to be over-stretched. Structural, geographical changes might be something that we have to envisage to foster community living; this is again a process that will take time. Recent Chapters mention the Oblate Brothers in the context of our call to be religious. What do the Brothers have to tell us about our charism, both in its missionary and community aspect? How can we promote this vocation better? A “Standing Committee for Oblate Brothers” has recently been established to help us all to look at our Oblate identity through the lens of Brotherhood. Last but not least, I want to mention the role that financial regulations play in our living together. Accountability is one of the keywords here. For the more important issues, giving an account and budgeting should pass through the community, not only the treasurer and/or the superior. We are all together, as a group, responsible for living our vow of poverty, respecting justice and compassion, considering the situation of the poor and our responsibility for the environment. To bring about this sharing, the common purse is the means used in religious life. If our sharing is not broad enough in the provinces, we will first need to go through a well prepared process to build up deeper trust and more open financial sharing. Right from first formation, we need focused reflection on the role of money and its use in modern society. We need to attend not only to our spending but also to earning as contribution to the common purse. In the Congregation, it is quite clear that we need to strive harder towards our ideal of sharing so that there will no longer be rich and poor Oblates in a Province and that our life style remains modest. It will take some time until in a province or delegation the quality of our community life can take a quality leap. In the meantime, each one of us can take practical steps on his own initiative. 1. Let me take fraternal life seriously, as an essential element of my missionary work. The 1992 Chapter came up with an amazing statement: “To seek to achieve quality in our community life … that is the first task of our evangelizing activity.” (WAC 7) This is a question of believing in community as a priority. We will need to make a conscious effort since nothing will happen by itself. “Community cannot be improvised.” “Put your money where your mouth is”, people say in financial affairs when it comes to budgeting expenses. Am I ready to budget time and efforts for my community? 2. Let me accept the need for asceticism. “Community that is not mystical has no soul, but community that is not ascetic has no body” says Fraternal Life in Community (23). For giving a body to community everyone will need some discipline, some asceticism. The examples for this needed discipline are many: common prayer at hours which might not be to my personal preference, including oraison, regular meetings even if there are already so many meetings, asking permission and giving account, extending hospitality to visitors and maybe young people who want to come and see. To put an image to this asceticism I think of the Founder in his last years. At the age of 75, he still wrote regularly to about 200 Oblates scattered far and wide, even abroad. Some 2000 of his letters are conserved. He mentions in his correspondence with Blessed J. Gerard the enormous folder, filled with “family” correspondence, waiting to be answered. This was an arduous form of discipline he took upon himself to make community happen! To conclude I turn to our common mother for her intercession in this vital question. “Mary Immaculate is the Mother of our apostolic community”, the Chapter said in 1992. She became our mother under the cross when she adopted John and with him all the disciples as her children. Since then she lives in our midst. October 8, 1835 letter to Father Eugene Bruno Guigues in Oblate Writings I, vol. 8, no. 547, p. 178. Dictionary of Oblate Values, Rome 2000, article on COMMUNITY by Frank Santucci, page 180. Plenary of CIVCSVA – 20-11-1992. CIVCSVA, Fraternal Life In Community, 1994. Y. Beaudoin, « La communauté apostolique selon le fondateur », Vie-Oblate-Life 1995, p. 136. Dict. OMI Values, p. 174. Leflon writes: “In the opinion of Bishop de Mazenod the common life was the keystone of his entire work; it crowned the latter at the apex assuring thereby the solidity of the whole religious reconstruction to which he had consecrated his episcopate”. Quoted in Oblate Writings XII, Rome 1989, page XXXVII. See Y. Beaudoin, « La communauté apostolique selon le fondateur », Vie-Oblate-Life 1995, as quoted above : Les « exhortations aux Oblats, au cours de sa vie, [de St-Eugène, sont] au moins trois fois plus nombreuses au sujet de la communauté régulière et charitable que celles invitant au zèle apostolique qui a rarement fait défaut chez les Oblats ». C. 92 says “at least three Oblates”. “Our houses will welcome those who wish to ‘come and see’ and thus experience at first hand what Oblate life is like. In a brotherly way we will help them discern …” C. 53. Fraternal Life in Community, 21. Witnessing as Apostolic Community, #45.